Two days of high energy tournament wrestling as thirty prep teams battle for the championship trophy! 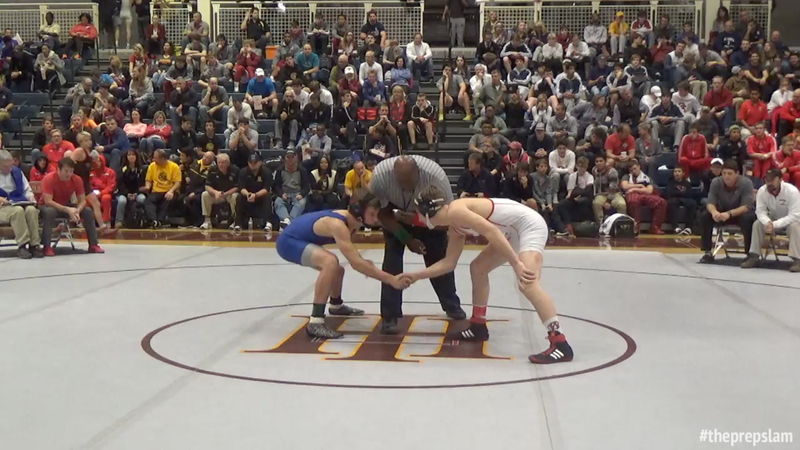 On behalf of Holy Innocents Episcopal School, welcome to the 10th Prep Slam Wrestling Tournament. On behalf of our Head of School Paul Barton, Athletic Director Tony Watkins, Coach Davis, and our wrestling family, we would like to welcome you to the campus of Holy Innocents’ Episcopal School. We look forward to hosting everyone to our brand of southern hospitality at The Prep Slam X which is the largest private school tournament in the Southern United States. Double elimination – place top 6. There are a number of unique sponsorship and volunteer opportunities available through the Holy Innocents Takedown Club. Both businesses and individuals that wish to support the school can find a sponsorship or volunteer opportunity that meets their needs and provides the visibility and recognition they deserve. Make your business and services known to the Holy Innocents community and help us with placing an ad in the Prep Slam program, or join one of our Platinum, Gold, Silver or Bronze sponsorship programs. If interested, please fill out the contact form below. Over the two-day tournament, we have over 150 one or two hour slots that we need to fill in order to make this tournament run efficiently. We have any number of slots available, from assisting in the parking lots, to selling tickets, to “crowd control” beginning at 2:30 PM Friday and running throughout the tournament until a champion is crowned Saturday evening. If interested, please fill out the contact form below. Please contact us to let us know.